Quartet of talented musicians build towards the lofty level of best American bands and largely succeed with this, their third studio album for Warner Brothers Records. 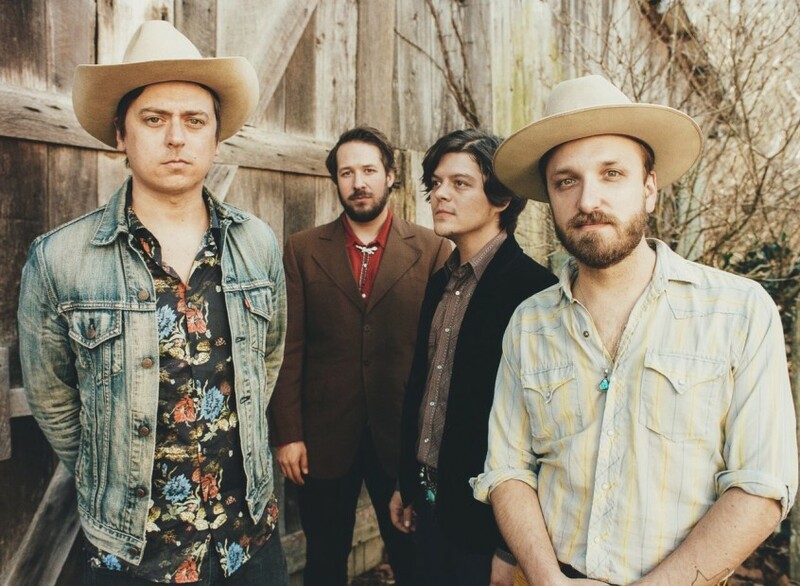 Since forming eight years ago, The Wild Feathers have weathered the storm all bands go through, especially as a rock band based in Nashville. While marginally successful commercially, the band has a loyal following that has allowed them to release their first two albums (The Wild Feathers and Lonely Is A Lifetime) and the Live At The Ryman project before releasing Greetings From The Neon Frontier. While their self-titled album and Lonely Is A Lifetime both suggested the harmony driven sound present on Greetings, the band has clearly found the sound they’ve really wanted to make all along. Once again working with Jay Joyce as their producer, the four piece band of Joel King, Ricky Young, Taylor Burns, and Ben Dumas make for harmonic 1970s soaked country rock with influences like The Byrds, The Eagles, and Crosby, Stills, Nash & Young serving as important markers while you can hear sprinkles of Skynyrd, Springsteen, and Petty as other influences added in for good measure. “Stand By You” feels like a cousin to the good time vibes of 80s Fogerty while fiddle-driven “Two Broken Hearts” feels like a long lost song from the catalog of Townes Van Zandt while “Golden Days” is a perfect track for a road trip soundtrack/playlist. “Big Sky” and “Wildfire” were both preview tracks before the album was released and both lean heavily on the three-part vocal harmonies. “Quittin’ Time” has a vibrancy to the instrumentals that back those honey-soaked harmonies while the classic shuffle of “Every Morning I Quit Drinkin’” helps to showcase the talent and diverse musicality of The Wild Feathers. The Wild Feathers have been growing with each of their album releases. As their songwriting and musicianship has grown, they’ve risen to the level their tight vocal harmonies have always showcased and with Greetings From The Neon Frontier, The Wild Feathers are ready to finally take their place as one of America’s best bands.